As a member of the FSB, I get a lot of updates on employment law which is very useful. Recently I have been sent the information regarding Health and safety, whilst some of this will not apply to parents employing a nanny it is vital that some factors are adhered to. Health and safety is the responsibility of the employer and that is the same if you employ a Nanny. It is the responsibility of the parents to ensure the nannies place of work is a safe environment so that accidents are avoidable. An employer must inform their insurance company that they have a daily nanny. If you have a live in nanny this detail must be specified. If you accept a nanny who is bringing their own child to work you will have a duty of care towards that child. For instance, if the nannie’s child is a baby, and you have stairs you will be required to put a stair gate up. Are dangerous cleaners and medication locked away? is the garden safe? do you have pets ? and any other potential dangers to the age group. It is imperative that parents are aware of their duty towards a nanny and health and safety matters are in place. Nanny Link offers a training module in Health and safety and one aspect we cover is risk assessments. It is an important for the nanny and the family to complete a risk assessment so that any potential problems can be addressed. Keep records of these being done. 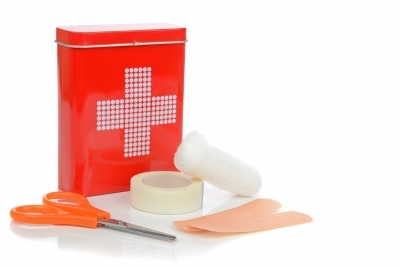 Always ensure the nanny has up to date first aid, there is an accident book available, and the first aid kit is up to date. For further understanding of Health and Safety working as a nanny we do offer this as part of the ofsted registration training. Please contact us for further information.